AFTER the historic win of the Pakatan Harapan (PH) coalition in the 14th General Election, the new government under Prime Minister Tun Dr Mahathir Mohamad has hit the ground running in an attempt to fulfil the 100-day promises made in its election manifesto. It has set up a Council of Eminent Persons comprising well-known and respected personalities, assisted by various committees, to look into institutional and corporate reforms as well as to provide advice on economic matters. This step will help calm the markets and provide stability to the ringgit. The abolition of Good and Services Tax (GST) — a central theme in PH’s election campaign — was set in motion with the resetting of its rate to zero per cent effective June 1 and its eventual abolishment in the near future after the Sales and Services Tax is reintroduced. Lim Guan Eng has been appointed as finance minister based on his good track record in leading Penang. The government has also announced several measures to address the country’s debt and liabilities of above RM1 trillion. c) Setting up the Tabung Harapan Malaysia for citizens to contribute to the country. These measures will have direct and indirect impacts on the property market. The recalibration of the GST rate is positive for the property market. Firstly, it will mean a reduction in the cost of building materials as well as construction and professional fees, which could lead to lower property prices if the cost savings are all passed on to consumers. Secondly, with zero-rated GST, buyers of non-residential properties will instantly save as they no longer have to fork out an additional six per cent GST. This could provide a boost to the commercial and industrial property segments. The HSR was touted as a game-changer with enormous economic benefits when it was announced by the previous government. It was supposed to lead to more Singaporeans investing in residential properties as well as spending more in Malaysia. It was also supposed to spur developments in the areas surrounding the HSR stations. Lastly, the HSR was the key selling point and unique feature of the Bandar Malaysia development at the old airport site in Sungai Besi. With its scrapping, the anticipated economic benefits that will be accorded to the areas surrounding the stations, as well as Bandar Malaysia, will no longer materialise. Developers and investors who have bought land and properties in these areas can no more hope for value appreciation and development opportunities from HSR spillover effects. Bandar Malaysia, in particular, will not be able to command the same level of excitement and interest although it can still succeed by virtue of its location which is not too far from the city centre, provided it is thoughtfully re-planned, designed and developed. There are also some developers who have made the HSR and MRT3 the selling points for their projects and included these in their promotional materials and advertisements. The cancellations will mean the developers’ claims cannot be fulfilled and this will put them in a difficult position vis-a-vis the buyers who have purchased their projects based on the HSR and MRT3 promise and attractions. 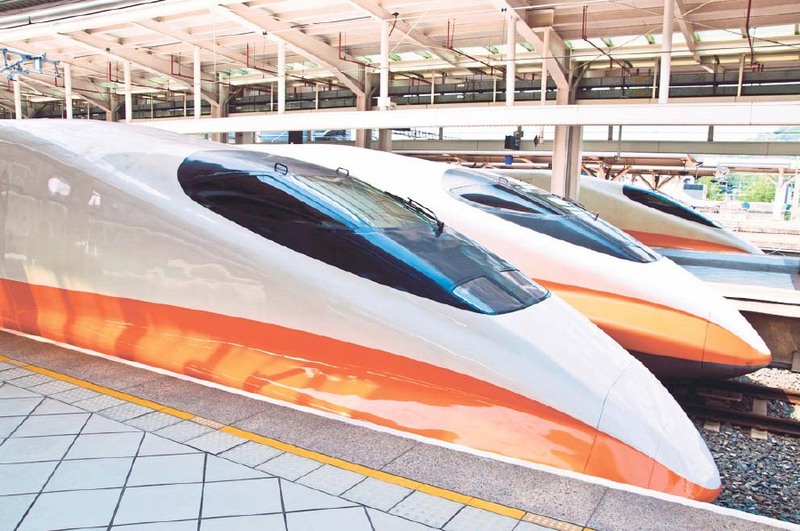 Examples of high-speed rail trains. Similarly, the MRT3 cancellation will also have the same impact on the local property market. MRT3 is supposed to be the last piece in the MRT jigsaw puzzle as it will link MRT1 (which connects Sungai Buloh and Kajang) and MRT2 (which connects Sungai Buloh and Serdang/Putrajaya) together. However, without MRT3, the other two lines can still operate on their own. The cancellation, for the time being, will provide the government with an opportunity to assess the effectiveness of MRT1 and MRT2 which, based on their current ridership of between 130,000 and 140,000 per day compared with the projection of 250,000 daily, look underutilised. Perhaps, when the country is more financially-stable and when MRT1 and MRT2 have achieved close to their maximum capacity, MRT3 can be revived — perhaps following studies that show it is the most cost-effective solution to Greater Klang Valley’s public transportation woes. The enormous savings from the HSR and MRT3 project cancellations will help improve the country’s financial position, especially when the financial assessments by the new administration show that their projected revenues will not be able to justify their substantial building costs. Besides cancelling mega infrastructure projects deemed currently not of priority, the Federal Territories Director of Lands and Mines Office Kuala Lumpur has since May 10 been instructed to freeze all transactions involving the transfer of land owned by Kuala Lumpur City Hall. This is due to reports lodged by some member of parliaments with The Malaysian Anti-Corruption Commission as well as the chief secretary to the government on the alleged suspicious nature of these transactions. As some of these deals involve projects that have already been launched with buyers having signed the sale and purchase agreements, this move has created some uncertainty about whether or how the projects will move forward. The review of the Tun Razak Exchange (TRX) has cast a pall of uncertainty over the financial centre project as the developers or companies, which have started development or bought land parcels, would now have to convince the authorities that their deals with the previous government were above board. There may be some delays for the projects in TRX, such as those of Landlease’s Lifestyle Quarters, the Exchange 106 Signature Tower, HSBC’s and Prudential’s new headquarters as well as developments by WCT Holdings Bhd, Lembaga Tabung Haji and Affin Bank, while the review is being carried out by the force set up to undertake the task. There are other promises in PH’s election manifesto to be implemented beyond the 100-day threshold which are related to the property market, such as making available one million affordable homes within ten years and grouping all the agencies involved in building affordable houses under one central body for better coordination and control. This is sweet news for the lower- to middle-income group as they can now look forward to owning homes. Various agencies entrusted by the previous administration like 1Malaysia Housing Programme have not able to meet their key performance index in building and delivering affordable houses within the right price range and locations. Although the measures taken by the current government will certainly have some negative impact on the economy and property market in the short term, they are deemed necessary to improve the country’s economic situation. With greater transparency and efficiency and more determined measures to eradicate corrupt practices, investors will feel more reassured and in the longer term, the country will be in a better position to attract bigger foreign investments. As the wise have always said, we need to bear with the short-term pain for long-term gains. Story courtesy of Henry Butcher Malaysia. Original article published in the New Straits Times on July 12, 2018.